Congratulations are in order, as a rock ‘n’ roll couple has found true love. 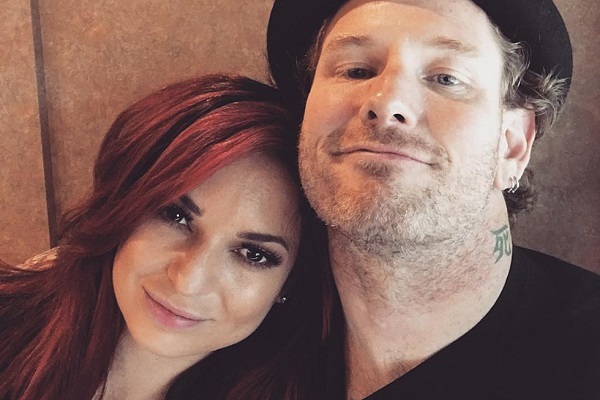 Corey Taylor of Slipknot and Stone Sour and Alicia Dove of Cherry Bombs announced via Instagram over the weekend that they are engaged. On Twitter, a fan took to twitter to ask Dove how Taylor asked hte big question. She state that it was a casual circumstance, following breakfast at their home in Las Vegas. Dove’s dance and performance group Cherry Bombs opened for Stone Sour on their Hydrograd tour beginning in 2017. Taylor and Dove when public about their relationship in May 2018. The two actually met years ago, but didn’t click. After the engagement announcement, Dove has been answering fans’ questions on Twitter about how the two first met. She stated that she first met Taylor while she was a cheerleader for the Atlanta Falcons. Slipknot is slated to drop a new album in August and hit the road on a crop of major tours, including one alongside Metallica.